Whilst not abandoning the influence of Scandinavian Folk Music and Eastern European influence that has coloured the band’s music, which TROLLFEST define as True Norwegian Balkan Metal, the musicians have undoubtedly grown in skill over more than a decade, and have rounded out their sound with Tango and Asian rhythms and richer melody lines and an even larger plethora of traditional and modern instruments. Recorded at the dUb Studio in Oslo and at the “Trollskogen Recording Facilities”, the album has been mixed by Endre Kirkesola. Once again the fantastic artwork that depicts the crazy characters that inhabit TROLLFEST’s imagination is by Swedish Cartoonist Jonas Darnell and the design is by Terje Johnsen, both long-time collaborators of the band. 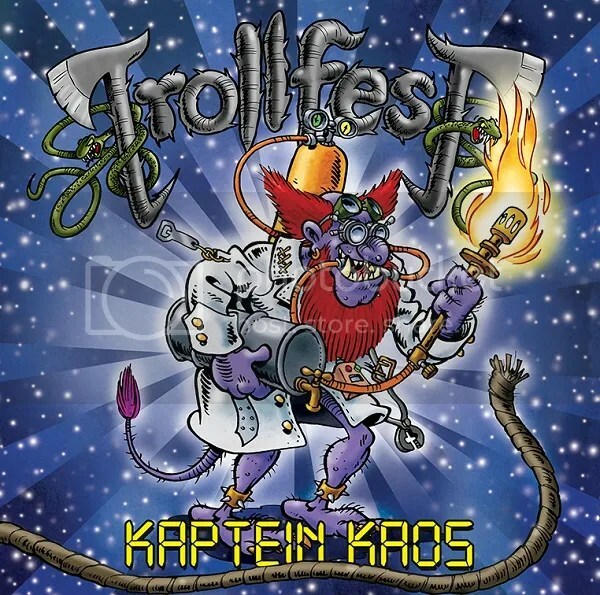 Like previous albums ”Kaptein Kaos” is set in the fantasy world of Trolls created by TROLLFEST. It tells the story of the Kaptein Kaos, who, according to the band ”is an inventor who creates a time machine and goes on an expedition across time to see some sights, taste some stuff and have some fun in ways that are exclusively available to people with time machines”. Musically, though, it seems that this time TROLLFEST have slightly changed direction. “Blasts beats and screaming” says the band “have given way to juicy rock grooves and rich melody lines, and the world music influence, which has been our trademark both in our use of instruments as well as melodies, has expanded to include Tango rhythms, Asian and Scandinavian folk music as well, of course, as the East European influence for which we are known”. 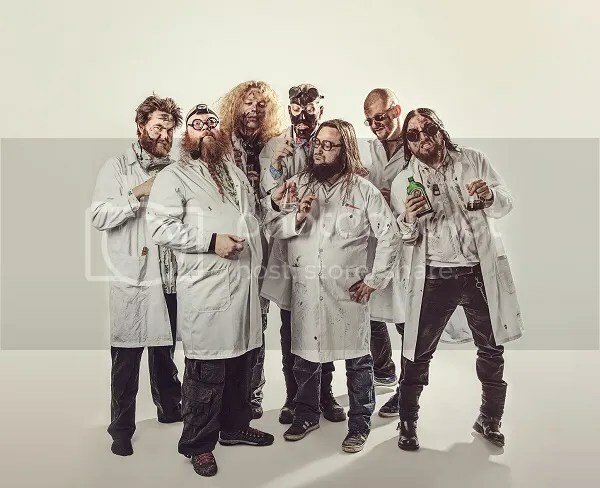 Currently ensconced in the recording studio, Norway’s TROLLFEST have launched a competition giving their fans a chance to make a guest appearance on what will be the band’s sixth full-length album. Anyone wishing to enter will have to record the melody that can be heard on an explanatory video on the band’s YouTube channel, using any instrument other than a guitar, and the weirder the instrument the better. A note sheet and power tab file is also available to entrants, and once the recording has been made, it should be sent to TROLLFEST in time for the closing date of 30 September. The winner will have their recording included on the album, and receive credit on the booklet. Instruments: Anything that makes a noise except the guitar – the more creative and weird the better. Playing what they describe as True Norwegian Balkan Metal, and with the aid of the Swedish Cartoonist Jonas Darnell and designer Terje Johnsen, TROLLFEST creates a universe inhabited by Trolls and assorted other characters, who embark on fantastical adventures. The band celebrates their tenth anniversary this year, an occasion they have marked not only by releasing a stunning limited edition picture vinyl that is available only from the band at http://trollfest.bigcartel.com/but also making their entire back catalogue available for digital download through all the usual digital distributors, and again, direct from the band at https://www.facebook.com/trollfestofficial/app_433708673347545. 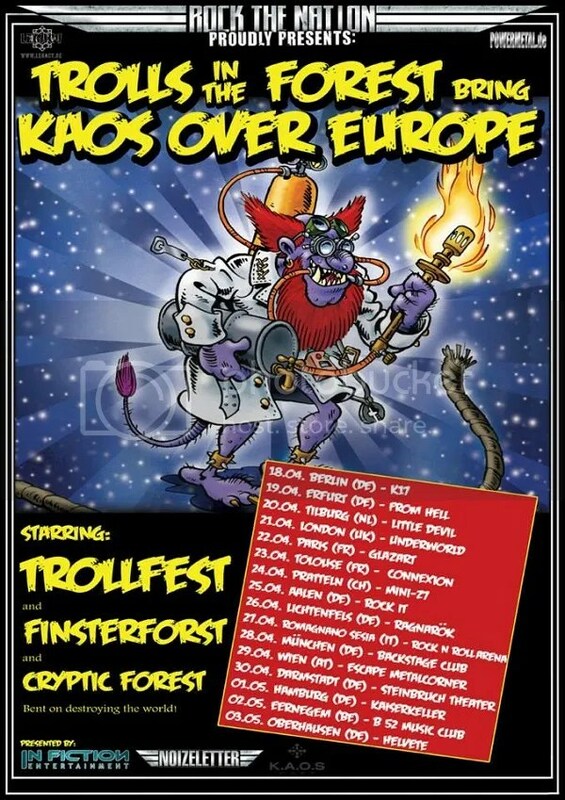 Norway’s TROLLFEST have digitally released their entire back catalogue from the years 2005 to 2009. This includes three full-length albums – 2005’s “Wilkommen Folk Tell Drekka Fest”, 2006’s “Brakebein” and 2009’s “Villanden”, as well as the “Uraltes Elemente” EP, which was originally released the same year as “Villanden”. Commenting on the decision to make their back catalogue available digitally, the band said: “We have made a huge number of new fans over the past three or four years, and we get so many requests for the old releases. Fortunately the digital platform makes it possible for us to release them without having to incur the costs related to producing CD or vinyl copies, so releasing them digitally ourselves makes sense”. 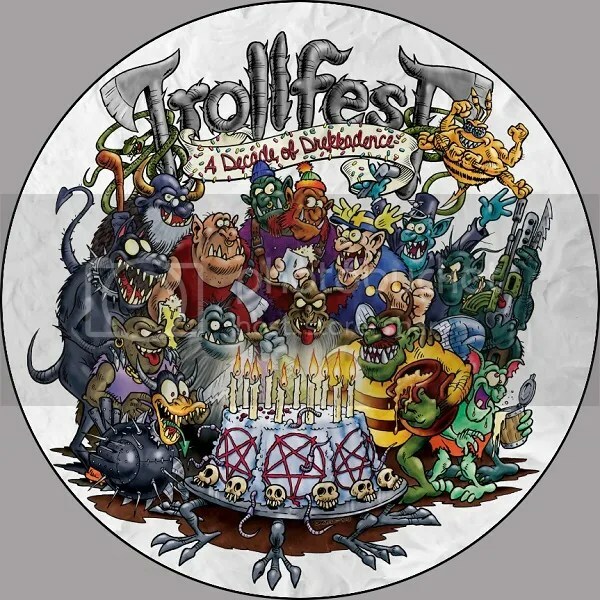 All the releases are available from the usual digital retailers, as well as on Spotify and direct from the band’s Klicktrack store at https://www.facebook.com/trollfestofficial/app_433708673347545. TROLLFEST can currently be found in Endre Kirkesola’s Dub Studio in Oslo recording their sixth full-length album which will be released on NoiseArt Records, as was its two predecessors “En Kvest For Den Hellige Gral” and “Brumlebassen”. 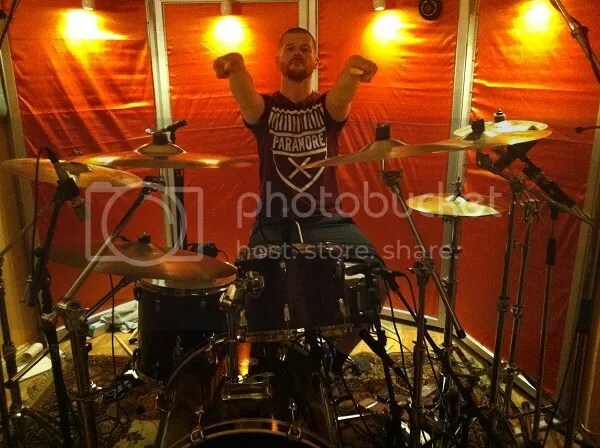 TROLLFEST, the purveyors of what they have dubbed “True Norwegian Balkan Metal” have begun recording their sixth full-length album, starting with the drum tracks, and the ever increasing army of fans of the band can expect to see a few changes. As TROLLFEST explained: “We will record eleven metal tracks and we also have a couple of acoustic songs up our sleeves, but at this stage obviously we are not sure which ones will make it onto the album. We will, however, be taking a slightly different musical direction with this album. The sound will undoubtedly be TROLLFEST, but it will vary from our last two releases. We will also be using a different studio this time. We have been more than happy with the Strand Studio who did an amazing job on “En Kvest For Den Hellige Gral” and “Brumlebassen” but we just wanted to get a different sound to match our new musical direction so we decided to use Endre Kirkesola’s Dub Studio in Oslo”. The album will be released on NoiseArt Records. Updates and photos from the recording sessions will be posted both on Facebook at https://www.facebook.com/trollfestofficial and on TROLLFEST’s blog at http://trollfest.blogg.no/ . 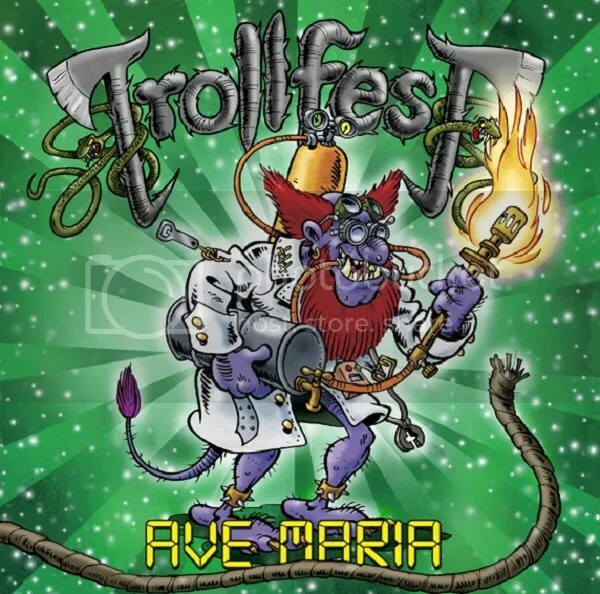 So far 2013 has already proved to be a busy year for TROLLFEST, a band that never seems to take things at a leisurely pace when it comes to their music, either off-stage or on. 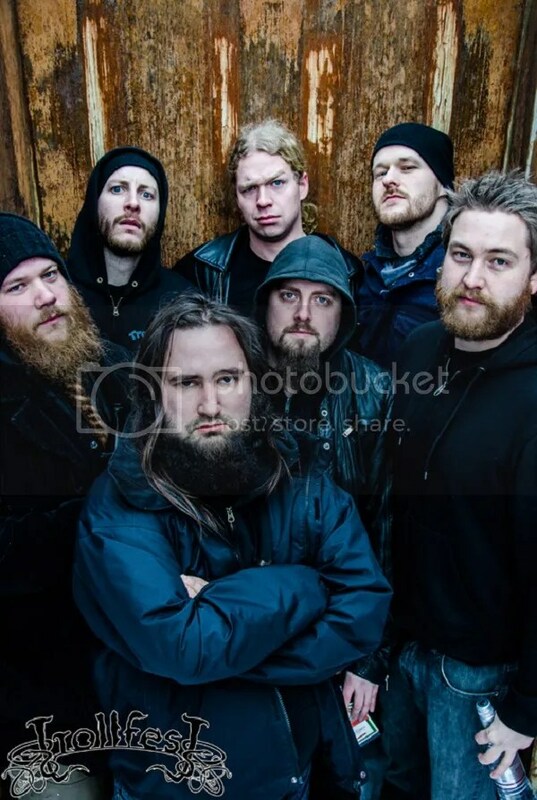 The seven-man lineup, whose members hail from several leading Norwegian Black and Extreme Metal bands, can field multi-instrumentalists capapable of playing a variety of instruments, both modern and traditional, from various parts of the world. So far this year they have appeared at a number of festivals, and taken the band to North America for the first time, when they were part of the lineup on the extensive Paganfest America Tour. Further scheduled appearances include the Masters of Rock and Wolfszeit Festivals.